 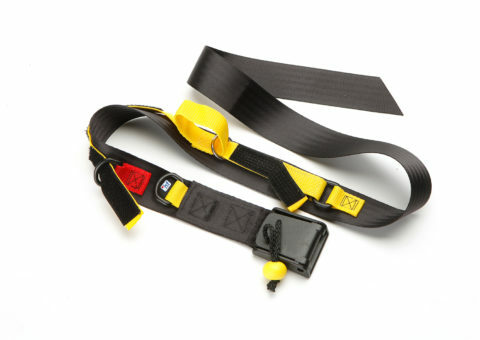 The SUP belt Buddy is an essential piece of safety equipment for Stand Up Paddling in whitewater. The leash attaches to the belt which has got two separate release systems. 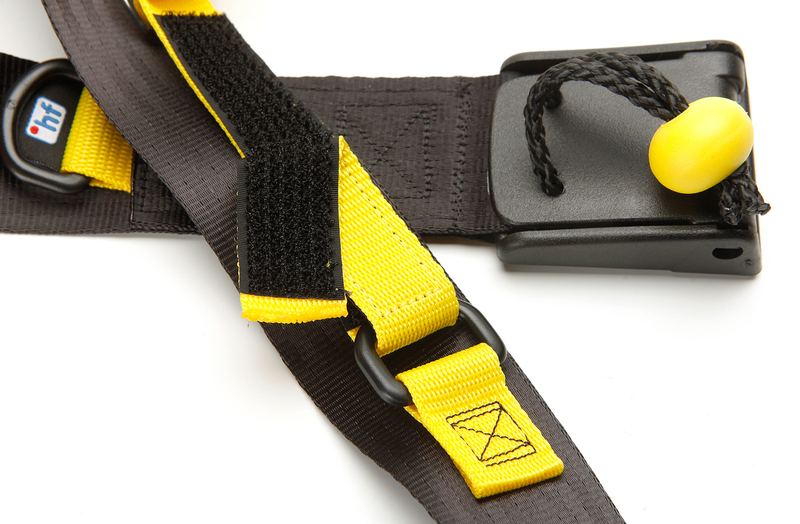 For situations in which it is not possible for the paddler to open the 50mm quick release buckle at the front by hand, the ° hf Buddy has an emergency velcro release system with adjustable resistance. 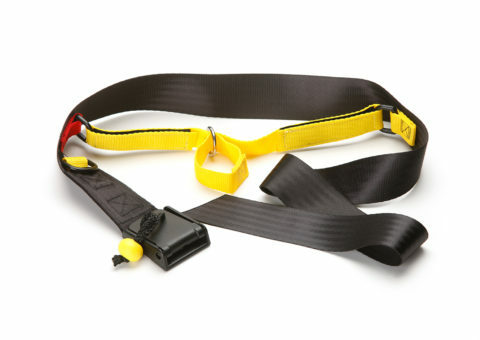 Yellow webbing is threaded at the D-ring with red fixing: resistance is high! 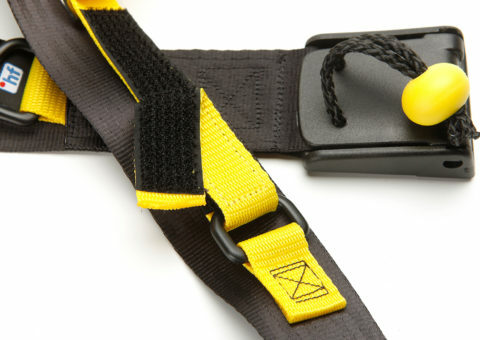 Yellow webbing is threaded at the D-ring with yellow fixing: resistance is low! 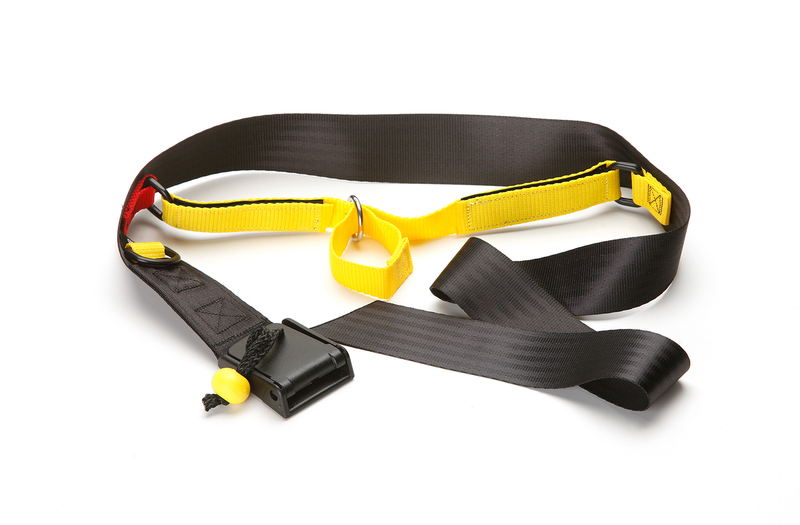 Regular training with our safety equipment (under expert guidance) is strongly recommended.